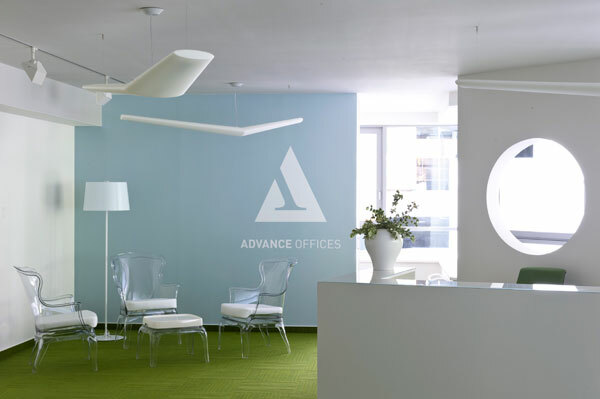 This recently new Advance Office location in the Greenpoint office building is situated next to WesselÃƒÂ©nyi Street in the heart of Budapest. Conveniently located in the 7th district's KÃƒÂ©thly Anna Square, close to the Grand Blvd and RÃƒÂ¡kÃƒÂ³czi Street, in the contemporary underground cultural and creative center of Budapest. The design is ultra modern and is said to be fresh, lively, green, dynamic, and inspiring. This is the ideal business address for the creative type as well as for start up companies.